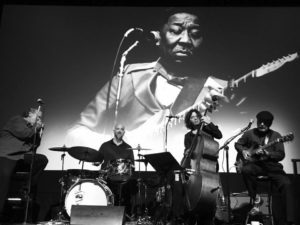 The Northwest’s top Muddy Waters Tribute show will be returning on April 3 to the Muddy Award winning Lake Theater & Cafe, 106 N State St in Lake Oswego. The show will feature four internationally acclaimed blues musicians who relish in the performance of old school traditional blues. This night will feature the songs of Muddy Waters and his influences performed in their original style. All four of the band members, Alan Hager, Mitch Kashmar, Jimi Bott and Dean Mueller, have won multiple Cascade Blues Association Muddy Awards and have performed around the world with their individual projects. Alan Hager won the Muddy Award in 2016 for electric guitar and has been performing and touring with Curtis Salgado for a number of years. 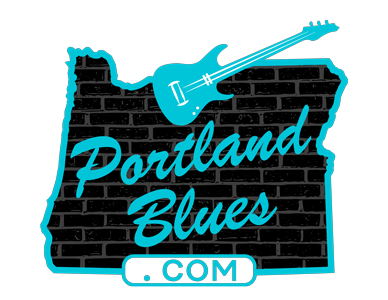 Considered one of Portland’s finest masters of traditional finger-picking guitar, he is a life-long student of the music and life of Muddy Waters. A Muddy Waters shows is not the same without harmonica, and filling the shoes of the great Little Walter will be Muddy Award Hall of Fame member Mitch Kashmar. One of the most soulful and powerful blues singers in the business today; his blues harp playing is second to none for creativity, drive and excitement. Blues Music Award winning drummer Jimi Bott. Jimi has received so many Muddy Awards that they named the drum award after him. Perhaps the most qualified old school blues drummer in the world, Bott has played with Mark Hummel, The Fabulous Thunderbirds, Rod Piazza & The Mighty Flyers and The Mannish Boys over the years. And finally, on the upright bass will be the multi Muddy Award winning Dean Mueller. Mueller was a Blues Music Award nominee with his former band The Insomniacs and is a faculty member at Port Townsend Blues workshop where he has had the opportunity to play upright bass with many of the blues greats past and present. As one of the dwindling few who still play blues on the doghouse, he will deliver the blues bass as it was originally conceived. Show time for the Muddy Waters Tribute will be 7:00 pm. Tickets are $15.00 for general admission be purchased online at laketheatercafe.com.